Stinkies!? Funk!? Ammonia!? 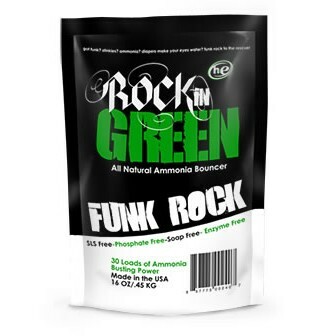 Time to get serious on those smelly nappies, it's time for Funk Rock by Rockin Green! This is the detergent for smelly cloth nappies! 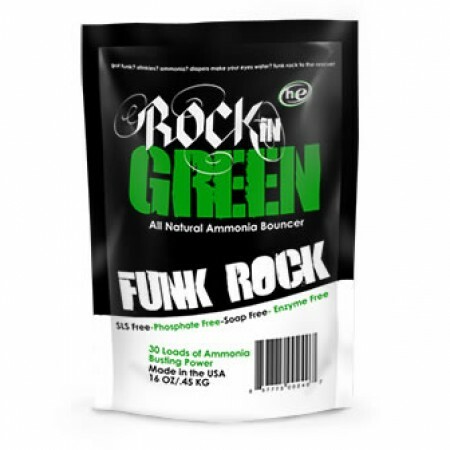 100% natural compound targets funk, stink and ammonia at the source. Just 4 tablespoons will de-funk 20 nappies in one go! You can add a little to your pre-wash/rinse to keep stink at bay. Enzyme free, Phosphate free, SLS free! To de-funk your smelly nappies, simply soak for 30 minutes with 4 tablespoons of funk rock and then do your usual wash. This product cannot be posted to Hong Kong.